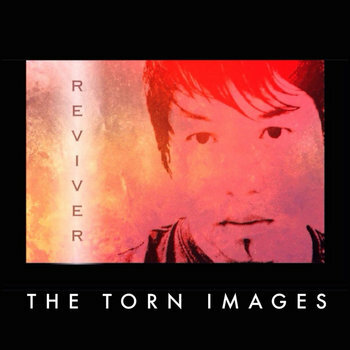 Alt/indie rock with a splash of neo-grunge - The Torn Images offer an interesting collection of songs on his latest full-length release, Reviver. Torn Images is the altar ego of Briand Arabaca (vocals/guitar) and he's joined on the release by other artists from his native Orange County, California, including Jonathan O’Brien - bass/guitar/keyboard/percussion (the producer in this project, member of indie rock band Workfriend), Andy Hernandez - guitar (audio monitor/engineer of LA indie rockers Grouplove; past: work with Young The Giant) and Tyler De Young - drums. The album was recorded in August 2014. Stylistically, the album covers a range of modern rock influences with a retro edge to it. I do hear Blur, Nirvana, and Muse but the vocals owe more than a nod of recognition to the late Layne Staley (Alice in Chains). It works well when it's emotive but risks becoming mannered at times. Musically it's fuzzy guitars, heavy on the rhythm and focusing on the edgy vocal style. Much of it is taken from the harder edge of grunge/rock rather than the pop side of things. This release is a continuation of The Torn Images' solo career after hooking up with producer Jonathan O'Brien (who recently won the OC Music Awards 2014 "Best Producer") and avant-garde drummer Tyler De Young last year. The combination works well together; De Young's inventive drumming adds texture and a fresh energy to the rock mode. Lyrically, the songs cover a kind of poetic take on real life. Out of Control (Into the Void) is a stand-out track with its punky, drum driven energy. De Young adds a rhythmic complexity that elevates the music. The release features an interesting production aesthetic - a kind of dry sound that suits the music. Life on a Standstill takes a softer approach with harp-like guitar chords and rat a tat snare drum in a syncopated rhythm that works nicely in contrast with a quavering vocal line. It's evocative. Tracks like Aimless Breath and Blind Fascination are melodic while still retaining that rock edge. Lost love gets The Torn Images treatment in the song, Never Be The Same Again - less angsty than poetic, letting the throbbing guitar do the emoting. The mood is more trippy on The Elusive Vagabond with a nicely insistent drum line underneath the melody. With the internet, the world of music is expanding all the time; Reviver is a reminder that with talented musicians you can still get a lot of good mileage out of guitar, drums and voice.